Companies must identify the right steps to transition from spreadsheet-based software to treasury management applications. London, 18 April 2018 – Corporate treasurers are expanding their role as information stewards to company decision-makers. The personal computing systems they used when they were responsible for handling only administrative and repetitive tasks are quickly becoming unfit to deal with frequent market changes and to manage complex data transactions. Therefore, corporate treasurers are seeking more robust treasury management systems and are in the process of learning how to select the right solution. 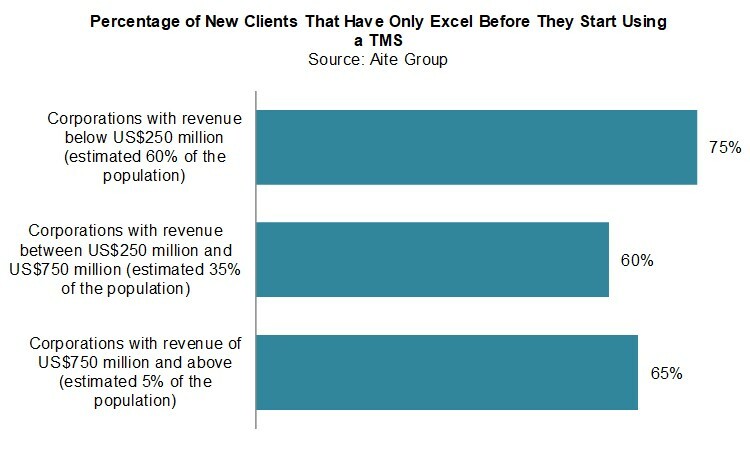 This report, the first in a two-part series, is based on Aite Group estimates made after conversations with corporate treasurers and TMS vendors as well as deep background research. It helps companies in the delicate process of transforming their treasury systems understand how to select the essential software functions out of myriad highly rich features. This 21-page Impact Note contains 10 figures and two tables. Clients of Aite Group’s Wholesale Banking & Payments service can download this report, the corresponding charts, and the Executive Impact Deck.